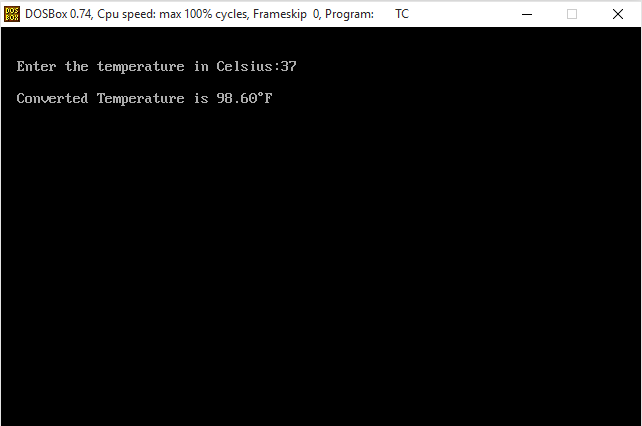 Before going to the program first let us see how to convert Celsius to Fahrenheit? To convert from Celsius to Fahrenheit: first multiply by 180/100, then add 32. 9/5 is equal to 1.8, so we can also use this method. Note: %f is used to read the floating-point value (decimal value). 248 is the ASCII value of the character ” º “(degree).